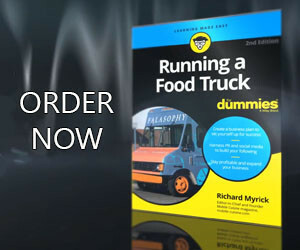 Before people can experience your food truck’s website they need to find it. Today we’ll discuss SEO best practices to give your food truck’s website a boost with indexing in search engines. If you own a food truck, you do have an advantage on other business owners in your local market. That’s because the mobile food industry has quickly become one of the most popular local businesses searched on the internet. Just for fun, before writing this article, I “Googled” my five favorite food trucks. I found some major flaws with their websites which is unfortunate since having a great site is half of what you need to motivate online searchers to track down your food truck. And although I love the food from these particular trucks, I think it’s necessary to remind mobile food vendors of a few things. Don’t push a musical experience on users when they open your page. Provide information such as your menu, email address, phone, and hours where it’s easiest to find because that’s what people are most looking for. Also see 10 Food Truck Website Mistakes to Avoid to get more tips and really make an impact on your site. But before people can experience your website, they need to find it first. How to optimize your website for search engines is the other half of the game called “Inbound Marketing.” The object is to get your food truck to the top of the list in the search results. And when people click on your name, you’d better make sure you deliver. Here are six SEO best practices to give your food truck a boost when it comes to SEO indexing. Provide a virtual buffet of content to your website and you’ll keep giving the search engines like Google and Bing a reason to find and rank your site. Announcements that talk about your seasonal menu items, videos that show how you or your chef creates the perfect scratch made pasta, or a blog about the progress on your second truck, are all great ways to keep your mobile food business name coming up in the SERPs (search engine results page). If you scan your actual menu as an image then every word on that page may be readable but it’s not searchable. If you happen to have 5 different flavors of sauce, your site will not be ranked in SERPs if you only list it in the menu, because all Google recognizes is a photo scan, not embedded text. You must create the text in a document or onto the web page directly. You can create a PDF from a document (not a photo) then your customers will be able to not only find it in a search, but print it out so everyone in the office can place their lunch orders. Make sure that your site provides buttons for sharing your content. Encourage users to share your blogs or menus by adding social media buttons for Facebook, Twitter, Instagram or Pintrest. This gives anyone who likes your food truck or your content a chance to share it with their friends and family. Ask friends and employees to spread the word via social media and use links to your site. If you have any customers willing to blog about how wonderful your food and service is, then you’ve just added extra points. Again, the more people are talking about your food truck, the more it will be found by the search engines. So keep spreading the word. When you are building or adding to your website make sure to fill in all tags, file names, image names, and SEO descriptions. The more opportunities you have for providing content to your site (whether users can see it on the page or not), the more opportunities you have to be found. People searching for burgers in Louisville or jambalaya in San Francisco will find you higher up in the rankings if you have more than one mention of these items. And photos are another way of mentioning menu items other than in the menu itself. Leaving these fields blank when you post is a missed opportunity. The best way to make a keyword more powerful is to use it more within the content of your site. If you have a page on your site that focuses on something special, use every opportunity to use specific keywords over and over. So if you are highlighting your famous Detroit Style Pizza, then make sure the page title, image name, image alt tag, heading, and content should all use the same keyword of Detroit Style Pizza. Search engines will recognize that your food truck ranks high when it comes to Detroit Style Pizza. The goal of search engine optimization is to have the search engines not only find your food truck website but also specifically rank the page relevance so that it appears at the top of the search engine results. The process of optimization is not a one-time process but requires maintenance, tuning, and continuous testing and monitoring. So use these SEO best practices now and in the future.